Growing up in a military family, Pete traveled a great deal and lived in Seattle, Germany, Alabama, France and Milton in Northwest Florida. While still a teenager, his father passed away unexpectedly, and his widowed mother moved to the family to Orange County. Pete graduated from Boone High School and subsequently continued his education — earning a Bachelor’s degree in Marine Biology from the University of West Florida. While working for the State of Florida at the Orange County Health Department and later Orange County government’s Health and Family Services Department, he earned Master’s degrees in Education and Public Health from Florida State and in Management from Rollins College Crummer School of Business. During Pete’s own military service in the Florida Air National Guard, he completed coursework in Hospital Administration/Health Services Management at Sheppard Air Force Base with the United States Air Force. He has furthered his education through FEMA Emergency Management coursework, and is certified in the National Incident Management System. He has completed Leadership Orlando, as well as extensive coursework through the Harvard Kennedy School of Government. Professionally, Pete’s long-term public career has provided far-reaching benefits for residents and visitors in our entire community. As Deputy Director of the Orange County Health and Family Services Department, he was responsible for services including inmate health care at the Orange County jail, the District Medical Examiner’s office, Animal Services, Mosquito Control, the Great Oaks Village residential services for abused, abandoned and neglected children and teens, the EMS system medical direction, Disaster Management, our Environmental Protection Department, Orange County’s mental health services, Social and Family services, Head Start, Community Action, the county Parks and Recreation Division, the county Veteran’s Services Division, and many other units and programs across Orange County. Those responsibilities included oversight and management of over 1,000 employees and budgets approaching 150-175 million dollars. Under his management, budgeting was taken very seriously and his departments did not over-budget to allow a return of funds at years end. A visionary leader, Pete is well known as a man who recognizes challenges in our community and strives to develop solutions to needs. Through his extensive history of networking and collaborating with both the private and public sectors, he has provided strategic leadership in creating, developing and managing a number of significant programs benefitting residents and visitors. These include the Primary Care Access Network (Access to Care) offering medical care to the uninsured and underinsured, the After School Zone which provides after school care to all middle school children in Orange County public schools, and the Sexual Assault Treatment Center which provides a safe, secure and sensitive response to the medical, psychological and forensic needs of those who have experienced sexual trauma. He was instrumental in the privatization of the Victims Service Center, and in the creation and development of both the Juvenile Assessment Center and the Central Receiving Center. This brief list is just the beginning, and is clear evidence of Pete’s exceptional ability to bring the right leaders to the table, to facilitate open dialogue regarding challenges and issues, and to get the job done. Pete’s life is a testament to his belief in, and commitment to, public service. Well before running for office Pete gave of his time to his community through his work on a myriad of local and statewide Boards, Coalitions and groups, focusing on issues important to a wide range of individuals, families, organizations and businesses. His service has included participation in the Health Council of East Central Florida (which addresses health care access and cost issues), the Child Advocacy Center Advisory Board (provider of Child abuse exams), the United Way 211 Advisory Board (which created the 211 system), the Health Care Center for the Homeless Advisory Board, the Senior Resource Alliance Council to promote senior access to services, and the Health Alliance (where he was Past Chair and co-founder) and facilitated the constructed a 26,000 sq. ft. clinic in east Winter Garden. Pete created the Primary Care Access Network (PCAN) which provides access to care for more than 90,000 Orange County residents through a collaborative created in 2000. He has furthered served as past chair of the Lake Eola Charter School Board, and the Shepherds Hope Board, the Low Income Pool Council (a State Appointment) which directed 1 Billion in Medicaid funding to Safety Net Hospitals and local projects, the Florida Public Health Association (Past President; state-wide association), the Drowning Prevention Task Force (ultimately spurring development of funding for swimming lessons for Head Start children in Orange County), Hope Now International (Past Chair and Co-Founder) provider of the largest back pack and health screening program in our area, and the AIDS Resource Alliance (Past Chair/Founding Member) offering a case management not-for-profit created for the Ryan White grant programs. Following his career with Orange County Government, Pete was tapped to serve as Corporate Director of Community and Governmental Relations for Community Health Centers, Inc. — a local leader in access to health care for our residents. His efforts assured the organization was aligned with community partners and expectations — further evidence of his ability to work and collaborate effectively with both the private and public sectors. In 2012, Pete was elected as our District 3 County Commissioner and was re-elected in 2016 by a nearly 70% margin. His extensive efforts to help our citizens and community have continued to provide much-needed solutions to the problems and challenges we face today. During his terms he has been honored to have his fellow Board members recognize his leadership and vision, and support many initiatives he proposed, including his Ordinance to allow the additional homestead exemption to our seniors; his Ordinance to require certain businesses to post the Human Trafficking Hot Line information; his Resolution against Fracking; his proposal to provide funding for the first and only adult human trafficking emergency shelter in the state (which has recently opened and is now accepting trafficking survivors); and supported his motion to return to the weekly bulk- item refuse pick up wanted by our residents. 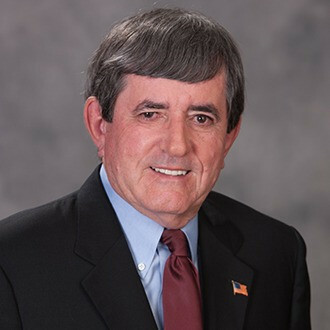 Numerous other successes during his service as our Commissioner include Water quality projects for our lakes; additional acreage for Cypress Grove Park; increased athletic fields and a splash pad and all-children’s playground for Barber Park; the Pine Castle/South Orange Avenue corridor plan; the Hoffner Road Overlay and Conway Acres wall; and the Small area studies (Rural Enclaves). While serving as Orange County’s District 3 Commissioner, Pete’s community involvement continues through his efforts with a number of organizations and interests. These include the local Metro Plan (Vice Chair), the Transportation Disadvantaged Council (Past Chairman), the Central Florida Water Collaborative (Secretary), Community Action Board (Chair), the Citizens’ Commission for Children Advisory Board, the Central Receiving Center/Children’s Mental Health Board of Directors (Chair), Kiwanis Club of Central Orlando (Past President), Florida Abolitionists Board of Directors (dedicated to eradicating Human Trafficking and modern-day slavery), the Urban Caucus, where he serves as co-chair, the Florida Association of Counties, and the Healing the Children Advisory Council. His multi-agency and diverse community involvement further serves to demonstrate his commitment to the entire community and all its residents and visitors. Pete currently lives in the Conway area with his wonderful wife Cathie, attends and volunteers for Discovery Church, and enjoys golf, riding his “bike” and playing in a classic rock band.